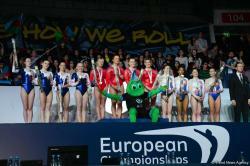 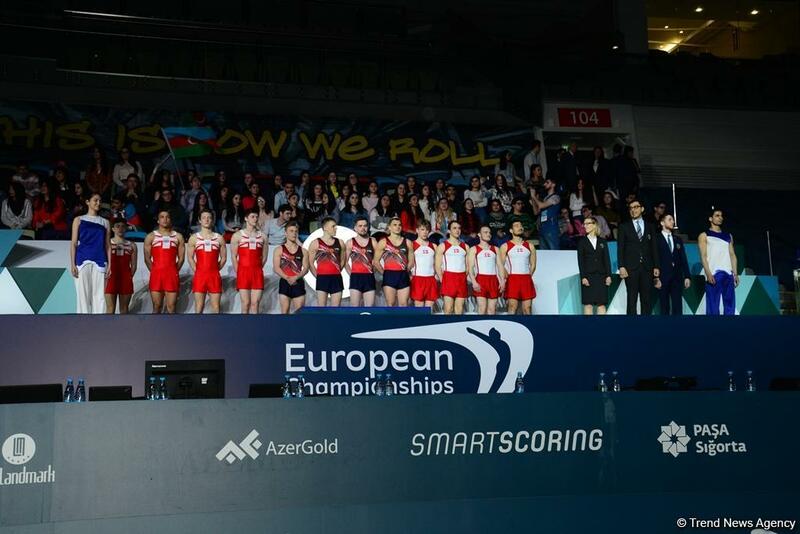 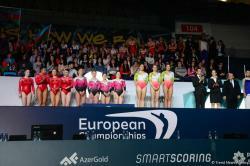 The National Gymnastics Arena in Baku has hosted a ceremony to award the winners and prize-winners in men and women senior double mini-trampoline team competitions and tumbling team competitions at the European Championships. 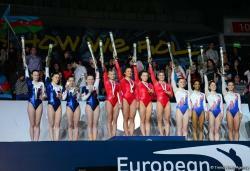 In women’s tumbling team competitions, the gold medal was grabbed by UK gymnasts. 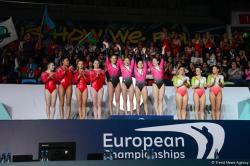 Second place went to Russia and the French team grabbed bronze medal. 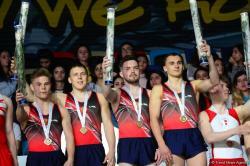 In men’s tumbling team competitions the gymnasts from Russia were victorious. 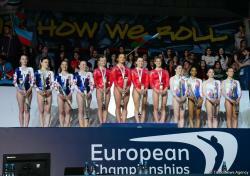 Silver medal was won by the UK team, while the third place went to the team from Denmark. 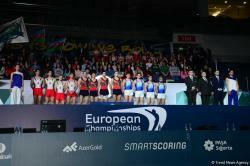 In women’s double mini-trampoline team competitions gold medal was won by representatives of Russia. 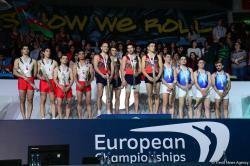 Silver medal went to UK and bronze medals to Portugal. 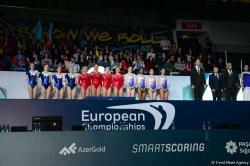 In men’s mini-trampoline team competitions first place was won by the Russians. 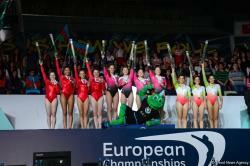 Second place went to the representatives of Portugal and bronze medal was won by the national team of Spain. 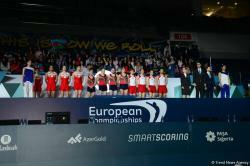 President of UEG Trampoline Technical Committee Vladimir Zeman, UEG President Farid Gayibov, Vice-President of UEG Rudolf Hediger, members of the UEG technical committee Patrick Siegfried, Konrad Bojakowski and Luis Nunes, head coach of the Azerbaijani trampoline team Vladimir Shulikin, UEG honorary president Georges Guelzec, UEG General Director Lisa Worthmann and sports coordinator of UEG Linda Davila took part in the awarding ceremony.